Every person receiving Personal Independence Payments (PIP) will have their claim reviewed, the Department for Work and Pensions has said. A total of 1.6 million of the main disability benefit claims will be reviewed, with around 220,000 people expected to receive more money. It comes after the DWP decided not to challenge a court ruling that said changes to PIP were unfair to people with mental health conditions. The review could cost £3.7bn by 2023. The minister for disabled people, Sarah Newton, said the DWP was embarking on a "complex exercise and of considerable scale". She added: "Whilst we will be working at pace to complete this exercise it is important that we get it right." Ministers made changes to PIP in 2017 which limited the amount of support people with mental health conditions could receive. As a result, people who were unable to travel independently on the grounds of psychological distress - as opposed to other conditions - were not entitled to the enhanced mobility rate of the benefit. The government pressed ahead with the proposals, despite criticism from an independent tribunal in 2016. An independent review of PIP in 2017 was critical of the assessment system, after revealing 65% of those who appealed against rejected claims saw the decision overturned by judges. And in December, a High Court judge ruled the alterations "blatantly discriminate" against people with psychiatric problems and were a breach of their human rights. Last week, new Work and Pensions Secretary Esther McVey announced the government would not appeal against the judgement, despite not agreeing with certain aspects of it. The government's announcement to review all claims for PIP is not, as it may seem at first glance, a complete overhaul of the system. This judgement won't affect people with physical disabilities, but the DWP will be going through everyone currently in receipt of PIP to narrow the 1.6 million claims down to approximately 220,000 people it thinks will be affected. The DWP has told me it will prioritise claimants who were disallowed PIP over those already in receipt of the award. Shadow work and pensions secretary Debbie Abrahams said it was "shocking" that so many claims were having to be reviewed and expressed concern that a timetable for action was yet to be put forward. "The government was wrong to cut PIP benefits in the first place, wrong to bring in the PIP regulations last year and it was wrong to repeatedly ignore the views of the courts," she said. Mark Atkinson, chief executive at disability charity Scope, said more had to be done to address all the issues. "While it's crucial that the government urgently identifies and pays the vast numbers of disabled people who lost out on this vital support, this will not address the root of the problem," he said. "The fundamentally flawed PIP assessment needs a radical overhaul so it accurately identifies the extra costs disabled people face." Philip Connolly, policy manager at Disability Rights UK, welcomed the review but expressed regret at "persistent failures" of the assessment process. "Huge amounts of taxpayers' money is being wasted on poor quality assessments which deny disabled people benefits that they qualify for." Keith Thompson, who lives with bipolar disorder, had his PIP reduced from £420 to £220 because he did not score enough points on his assessment. The 49-year-old was moved from the Disability Living Allowance (DLA) to PIP in October 2017. He told the BBC: "I got a letter saying my payments would stop and I would be reviewed by assessment for PIP. "The lady there wasn't a psychiatrist. She asked if I could walk, none of the questions related to any of my mental health problems." He said that he "felt totally discriminated", and that the "whole process was totally disgusting". He was initially told he would receive no PIP payment, but that was later reviewed and he was informed he would receive a minor PIP, rather than the full amount. "I don't know what's going to happen. What if it gets reviewed and I end up with nothing?" 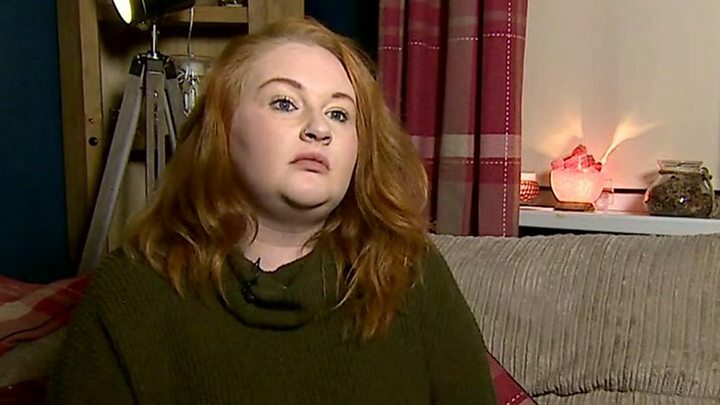 Kelly Bailey lives with borderline personality disorder, and says she had her PIP removed when she informed the DWP her condition had worsened. "They sent me for a consultation, we spoke for a little while, and then they sent a letter saying thanks for letting us look at your claim again. "I got the letter in January. The letter said that my needs have changed so now they're stopping my payments."